These Small Bone Motorcycle Helmet Horns are made to show the world that you are a little devil. Personally, I like to eat Devil Food Cakes, I guess that makes me a devil. These Small Chrome Motorcycle Helmet Horns are made to show the world that you are a little devil. Personally, I like to eat Devil Food Cakes, I guess that makes me a devil. These Small Silver Motorcycle Helmet Horns are made to show the world that you are a little devil. Personally, I like to eat Devil Food Cakes, I guess that makes me a devil. 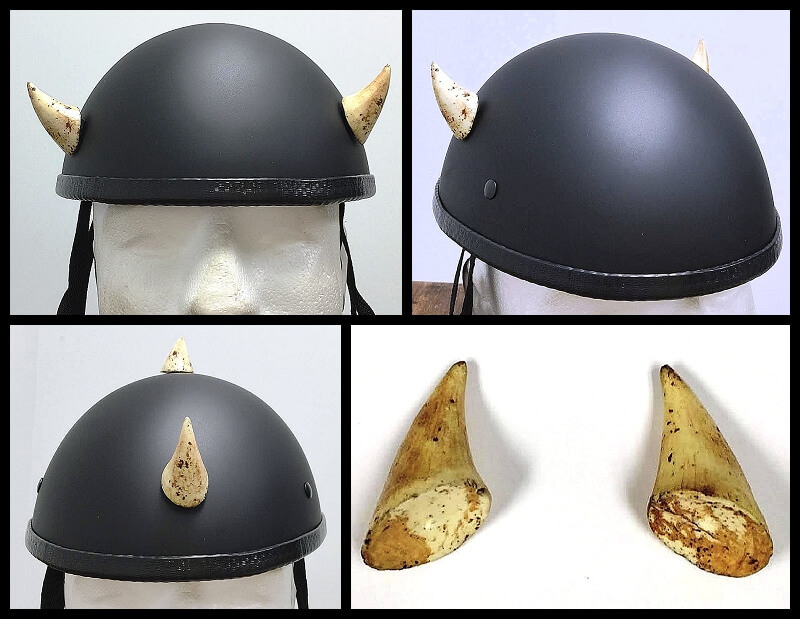 These Bone Motorcycle Helmet Horns are made to show the world that you are a little devil. Personally, I like to eat Devil Food Cakes, I guess that makes me a devil. These Silver Motorcycle Helmet Horns are made to show the world that you are a little devil. Personally, I like to eat Devil Food Cakes, I guess that makes me a devil. Awesome Bone Small Demon Horns for your Motorcycle helmet - A new and exciting product made in the USA. Awesome Bone Grooved Demon Horns for your Motorcycle helmet - A new and exciting product made in the USA. Awesome Devil Motorcycle Helmet Horns Small Straight - Bone for your Motorcycle helmet - A new and exciting product made in the USA.